As part of their Good Business Journey, Woolworths is proud to support the Breast Health Foundation. 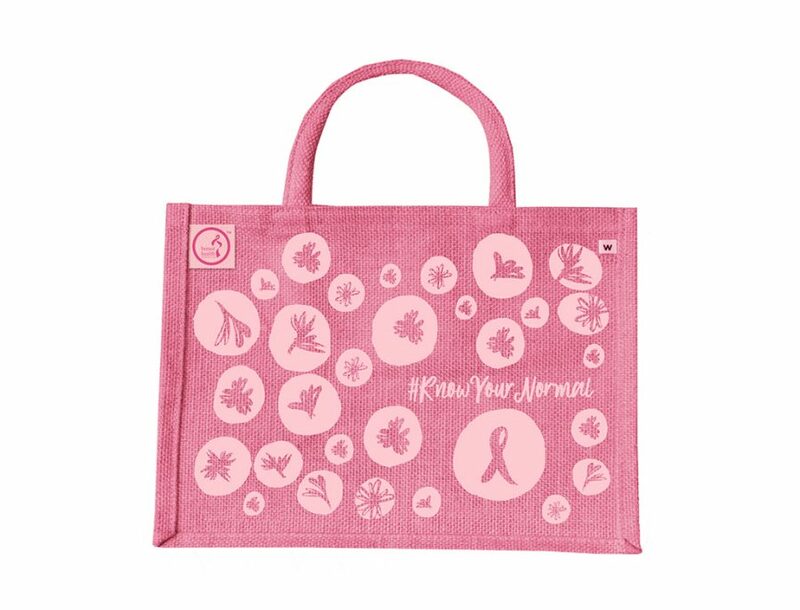 Through the sale of each bag, Woolworths donates R10 to the Breast Health Foundation to support the work they do. WHAT IS THE BREAST HEALTH FOUNDATION? The Breast Health Foundation (BHF), is a Not for Profit Company established in 2002 to educate the public on Breast Cancer and Breast Health, increase awareness and empower women. Since its inception, the Breast Health Foundation has developed into a transparent and effective organisation which reaches our nation’s women. The money that is raised is used to educate women – those who have had as well as those who have not had Breast Cancer – to spread the word around the importance of self-examination and regular medical check-ups. The Breast Health Foundation aims to put to rest the myths surrounding Breast Cancer and to provide an open forum where women feel that they can come forward with their problems. Traditionally, women in Africa have been seen as the heart and soul of the family. By ensuring their health and by educating them, the health education messages are passed on to children, husbands and partners. Did you know 70% of all breast cancers are found through self-exams? #KnowYourNormal is the Breast Health Foundation’s awareness campaign, encouraging women all over South Africa to empower themselves to know their own body. 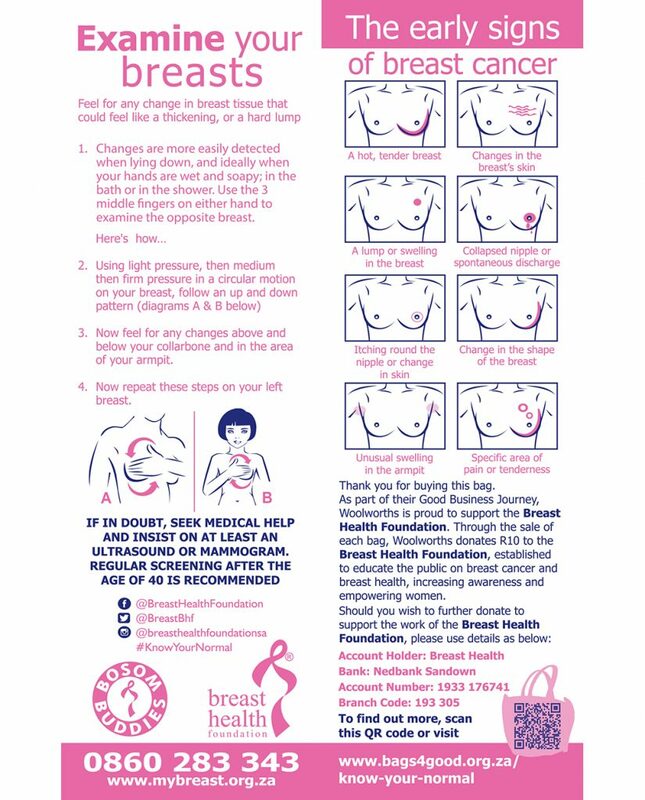 ‘Knowing your normal’ means doing monthly self-breast examinations and knowing your bodies normal. Being diagnosed with Breast Cancer is not a death sentence! The earlier Breast Cancer is caught is easier it is to treat and the increased chance of survival. We want every woman in South Africa to empower themselves with this knowledge. Funding this campaign and The Breast Health Foundation means that we can further educate the women of South Africa on Breast Cancer awareness, how to perform self-breast examinations (in line with South Africa’s first-ever Breast Policy) and how to seek medical support if they detect any breast health issues. The Breast Health Foundation’s community educators in Gauteng, the Western Cape as well as Kwazulu-Natal spend a large portion of their time in outlying communities and clinics to educate and raise awareness to #KnowYourNormal. Furthermore, our community educators are professionally trained to counsel those that have been diagnosed with Breast Cancer and navigate them through our healthcare systems. The Breast Health Foundation was established in 2002. Education and awareness around self-breast-examinations commenced with our inception. How can people get involved in further supporting the #KnowYourNormal campaign? ← Only elephants should wear ivory!